Many thanks for your long-term trust and support to EverExceed! 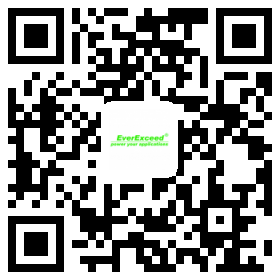 To meet with the diversified marketing needs, EverExceed R&D department has newly developed the Smart IT Solution as an alternative to traditional design. The advantage of EverExceed Smart IT Solution as a new family of infrastructure. Their new strategies include solutions that Improve energy efficiency space utilization and IT productivity, Offer measurable savings in CAPEX and OPEX, Offer location flexibility and compatibility with existing infrastructure, Improve the ability to manage and control the IT environment, Feature interoperability for fast and easy design and implementation and Support greater capacity by improving management of density and availability.